When did you last check your email? I'd bet it was within the last hour. Quite possibly within the last ten minutes. You might well have your inbox open right now, with message alerts jumping up at you. Almost everyone I talk to feels that email takes up too much of their time. If you work for an employer, in a traditional office environment, you might have your email open from the moment you get into the office until the moment you shut down your computer at the end of the day. If you're self-employed or work from yourself, it's probably even worse. You might find yourself worrying about emails during dinner, or when you're supposed to be having some family time. The problem isn't knowing what to do. You've read plenty of advice telling you to close the inbox, to avoid checking emails first thing in the day, and to get on with your key tasks first. But are you doing it? "Something urgent might come in"
This is the biggie. You tell yourself you need to check your emails just in case. What if that client gets back to you, and needs a response in a hurry? What if the server goes down? What if your kid's school needs to get in touch? The truth is, if something is genuinely super-urgent, people will find another way to deal with it. They'll probably phone, or email someone else. If you really, truly, have to respond to certain emails within minutes, then get set up with a service like Away Find – so that you can work in peace, knowing that you'll get a text (or other notification) if a particular person emails you. "I use my email to store my to-do list"
Some folks keep their email inbox open constantly because their email forms their to-do list (with lots of emails-to-self), or because they need the calendar or the chat feature or some other function. If your incoming emails are a constant distraction, find a different system for your to-do list. Alternatively, change your email settings so that new emails only arrive at occasional intervals – instead of checking for emails every 5 or 10 minutes, set this to every hour or two. "How will I keep on top of my messages?" If you get a lot of emails, you might resist the idea of dealing with them in a batch towards the end of the day. You're worried that there won't be time – because at the moment, it feels like you spend half your day (or more) just dealing with emails. The truth is, the added efficiency from working through your emails in a focused, systematic way will save you a lot of time. Just think about how quickly you can get through a backlog when you're back at work after a vacation, compared with how long you can take over just a handful of emails on a typical day. Although answering emails might feel productive – you get the quick win of watching that "unread" number go down – it probably isn't the best use of your time. Instead of thinking about the amount you get done, consider the value. Wouldn't it be better to let some emails go unanswered, or send very brief replies, in order to get that big project done instead? "People expect a quick response." If you're used to responding to emails within an hour or two, you might worry that people will object if they don't hear back for a day or more. The truth is, most people won't be at all bothered. They'll get used to the fact that it takes you a day to get back to them, and they won't email expecting an instant reply. "But if I'm not doing emails ... what will I do?" Although not many of us would say this out loud, it's often lurking in our minds. When we're feeling stuck at work, not sure what to do next, it's easy to turn to emails. There's almost always something in our inbox that requires action – and it's often easy to see what action is needed. Are you similar to many other people and a little too attached to your cellphone? Does it seem only appropriate that when your cellphone rings you should answer it the vast majority of the time regardless of who you are with or what you are doing? Are there Twitter or Facebook alerts popping up every three seconds? Is there really anything wrong with multitasking and taking the occasional call during dinner, or checking e-mail while you are in a meeting? Believe it or not, your cellphone is possibly causing you more harm than good. The majority of us probably need to take a look and change how we manage our cellphone use. Honestly, how many people can you see right now? How many are nursing their iPhone like it's a newborn? Don't get me wrong, I am just as attached to my cellphone as anyone. My Droid literally changed my life; e-mail and texts are an essential part of my day and I honestly don't remember how I existed without instant access to the internet. But, have you noticed how cellphones have a tendency to just take over and constantly demand a significant part of your attention? You can go through life on autopilot jumping from one e-mail to the next, responding to voice mail messages, and not really ever paying enough attention to the experiences happening right in front of you. It is not that you are totally oblivious to what is going on, but let's face it, if you are continually being disrupted by your cellphone, you are just not nearly as engaged as you could be. Cellphones are literally masters of distraction and they can take your attention away from just about anything instantly and consistently. The Negatives to Being "On Demand"
The ability to instantly connect with anyone has its advantages, but it also has its costs if not managed properly. Don't underestimate the damage caused by allowing your cellphone to constantly require you to multitask. Research has proven that workers distracted by email and phone calls suffer from many issues, even including a fall in IQ during the period of distraction. "Those who are constantly breaking away from tasks to react to email or text messages suffer similar effects on the mind equivalent to losing a night's sleep." The same study also found multitasking has a negative physical effect, prompting the release of stress hormones and adrenaline. And, the usual justification that multitasking allows you to accomplish more also doesn't really stand up to scrutiny. Another study confirmed that people who multitask actually end up being less efficient. Stop allowing your cellphone to hold your attention and mind hostage. It is time to reclaim your attention span. Now, this doesn't mean that every once in a while you can't make an exception and take a call or check an e-mail while you are doing something else. The problem is when switching back and forth from one task to cell phone management is your standard operating procedure. And, if we notice this is one of our bad habits, we need to start work on changing it. Turn off the ringer from time to time. As scary as that may sound, there are just sometimes you shouldn't be interrupted. Reserve blocks of times to devote your complete attention to things you need to get done, your kids, your spouse, your driving! Turn your ringer off during holidays and other family or alone time so you can really engage and enjoy those experiences. Turn off your notification light. Make a leap of faith and realize everything will not explode just because you don't instantly know when an e-mail or text message comes in. Yes, this may take some getting used to, but, it really is liberating and allows you to decide the best time to read e-mails and texts instead of always checking your phone every time you notice the notification light flashing. Use your cell phone; don't let it use you. It's great that you can do just about everything on your cellphone, but when you pick it up to use it, decide what you are going to do, use it, and get out. If you are going to return e-mails, then don't end up surfing around the internet. Have a plan every time you pick up your cell phone and stick to it. Screen your calls and e-mails. Prioritize paying attention to who you are with or what you are currently doing. Take a look at who is trying to contact you and decide if you really need to respond right away. No one really knows whether or not you are available so you can decide to not answer your cell phone unless it really is necessary. Reserve blocks of time to check your messages and respond. Take periods of time to check and return all your messages. Perhaps you have a block of time you take every morning, afternoon, and evening. This way your messages don't accumulate and you can be fairly confident you are not going to miss anything really time sensitive because you are checking your messages regularly. If you are a heavy user, you may need to have more check-ins throughout the day. Figure out what works best for you, but the key is to not consistently and continually check messages throughout the day. We live in a highly digital world today. Our work requires us to use the internet in one way or another. We readily turn to emails, social media and chat messengers for daily communications, sometimes more so than face-to-face contact. Not only that, with 3G and wireless technology, we can now be connected even when we're on the go. I'm probably a good example of what you'd call a web junkie. I'm connected to the web almost all the time, whether I'm at home, working or on the go. For one, a lot of my work is based online. I run a personal development blog which I update regularly; I do 1-1 coaching with international clients via Skype and recently I started courses online too. In my leisure time, I surf interesting sites, watch online videos and chat with others. When I've nothing to do, my first instinct is get on the web to see what's available. While I found this 24/7 connectivity useful initially, after a while it felt more distracting than helpful. For example, when I'm online, I'd catch myself checking my emails, Twitter, Facebook, blog stats, etc., for updates every 10-15 minutes, even though I'm in the middle of other work. The excessive connectivity has created false urgency where I feel the need to know what's happening lest I miss something important. Not only that, the web is so vast that it's easy to get lost in the surfing. In reading a site, one link leads to the next, and the next, and before I know it I've already spent a good chunk of time surfing sites that are not related to what I'm supposed to do. This would happen several times throughout the day. It was counter-productive - While it seemed like i was very busy switching between checking/replying websites and doing my work, I wasn't getting much done. Administrative and micro-work yes, but not the important stuff. So lately I tried an experiment to take a break from the digital world. Rather than work online, I disconnected and went to a quiet spot to work. There was a huge difference. Interestingly, these short, 45-60 minute breaks easily became my most productive hours for the day. My thoughts flow much easier; I’m not thinking about anything except about what I’m working on; I’m more big picture focused, and there’s just nothing distracting me. Know what exactly you want to do online. Without setting this intention clear, you can be easily distracted by the barrage of things online once you log on. Write a list of things you want to do that can only be done online. For example, say you're writing a report and you need to research on the topic. You also want to check your mail for updates from clients. Then, follow this list and strike each item off once it's completed. If you come across something online that's not in your list, that's a distraction and you should ignore it. Once your work online is done, you can disconnect and work on your priorities. While some of us may feel uneasy disconnecting, remember you do that every day. Think about how you go to sleep daily and things are fine when you wake up. That’s 5-8 hours of dis-connectivity right there! So don't worry about missing out on things when you go offline. If you want, get a change in environment. I enjoy working in quiet cafes, my living room, and recently I'm trying out quiet spots in my neighborhood. I realize different environments trigger different ideas and these are helpful for my work. Work on your priorities during the break. This is a great time to read on the books you’ve been meaning to read, work on those Quadrant 2 goals, brainstorm on ideas and think about the long term plans you've been putting off. It can be that upcoming vacation plan, your goals for the next 3 months, some pending issues that need to be addressed, the big project that’s coming up, etc. Since there are no distractions you'll find ideas emerging readily. Explore each of them. Chances are you’ll get some really amazing ideas that you’ve never considered before. Some of my biggest breakthrough ideas come when I'm away from the web. For example last week, I got a great idea for my next book, and came up with the outline and content idea all during a 30-minute break. Wrap up with clear action steps. After you are done, pen down your next steps before you get back online. This way, you’ll be going in with a clear direction on what to do next. You might get bombarded with other messages when you go online, but follow this list to a tee and you'll be fine. Last year Facebook passed up Google for the most visited site in the world. What an interesting trend we are seeing, where people are searching for connections more than answers. Yet, for many, the full potential of social media eludes them. One of the most impressive benefits I’ve found from social media has come from making powerful connections with my idols, mentors, and people I looked up to. We live in a remarkable time where the barriers to reaching those people are now lower than ever. Ever since I was little, I have been a fan of superheroes. At the age of 8, I was fighting Leukemia and spent many days at Phoenix Children’s Cancer Center. One of the distractions I took advantage of was painting the hospital window of my room with whatever lit on my imagination. With my mother’s help, Spider-Man and Wolverine would watch over me as I underwent chemotherapy, surgeries, and any other cancer treatment. Those images stuck with me as I looked back on the successful life I’ve had from over a decade in remission. Coming out of cancer survival, I had one person I always wanted to meet, Brian Michael Bendis. Very few people outside of the comic book industry probably know who Brian M. Bendis is. However, he happens to be one of Marvel’s top writers. He’s won 5 Eisner Awards (picture Oscar’s for Comics), 9 Best Writer of the Year Awards, and many other nominations. Thanks to the power of social media, I’ve now met with Brian Bendis, as well as made connections with other writers, artists, and industry giants. Furthermore, it has led to amazing opportunities where I’ve received autographs, read scripts, and more. All from following 6 essential steps. Even though I use the writers, artists, and creators of one particular hobby as an example, these same steps can be used to make connections with future employers, your inspirers, business leaders, authors, more. Do you remember how it felt when you were a kid at Disneyland the first time? You were excited for the rides, but you also were probably excited to meet the different characters. Our grown up lives are not much different. We all have those people who if we happened to see on the street we’d die to go up and get a picture with, ask some questions, or get lunch together. Before you can make connections through social media you have to know who you want to connect with. Ever go to a book signing when you haven’t read the author’s book? Interviewed for a job without researching what the company did? Of course not, so why would you expect to start building a new relationship with someone without knowing more about them on a personal level? This may be one of the most crucial steps to connecting with others, so do it right. The other part to this step is knowing what to listen for. It’s quite simple, PASSION. Just because someone is a movie star, a Grammy winner, or a National Best Seller, doesn’t mean they don’t have their own personal passions. When I found out Brian Bendis was going to be in town I prepared. I listened to detailed hour long interviews he gave to special niche bloggers and friends. I found out from listening that his daughter at only 8 years old was co creating a new graphic novel with him. What could a father be more excited for? When I got to meet him in a crowd of hundreds, I knew what to really ask. Bendis answered question after question about all the popular books and characters, Iron-Man, Spider-Man, and The Avengers. I then asked him, “Can you tell us about your daughter’s involvement with Takio, the book she is co-creating.” He smiled and went on to share a great story. Afterwards, when I spoke with him one on one, he thanked me for asking thoughtful questions, signed some books, took a picture with me and then followed up with me on Twitter. All this because I had listened. Once you have identified and listened to what your connection is passionate about and where you can connect, the interaction becomes easier. See if they have a Facebook fan page, Twitter account, or LinkedIn profile. Google them to see if they have a blog or site as well. Once you have an avenue to interact, make a positive first impression. Another important note is to interact with the people they communicate with as well. So if you have a leader in a particular field you want to get in touch with, see who they follow, friend, and share information from. Then put yourself in their circle by taking the next step. Possibly one of the reasons Facebook was able to pass Google in ranking was because of its ability to contribute what people wanted. We didn’t have to search for that funny video or topical article, because “so and so” on Facebook, LinkedIn or Twitter is already finding those things for me. If you want to make strong connections, you need to be recognized as a contributor as well. Find ways to add to the industry of those you want to connect with. If you know what they are passionate about, keep an eye open for any fascinating articles, videos, or content that they would love to see. For instance, I made a twitter account just for comic book related matters so I could contribute to that industry and therefore make connections with those involved as well. One person I wanted to reach out to was Johnjay Van Es, a popular radio dj who has 10’s of thousands of followers he might be able to send my way. Asking him directly to do that would never work, so I thought of a clever way to get his attention. After listening, I knew he always had a strong self-image. I thought he carried a resemblance to Chris Hemsworth’s Thor, so I took five minutes to edit a side by side image and sent it to him saying I saw a mighty resemblance. Two seconds later he was sharing it with all of his own followers and sent me his own comments. Making connections requires work, but it can be a lot of fun as well. I’ve found if you want to get the USEFUL attention you need to be interesting, relative, or entertaining. Even though comics carry such a negative connotation and are seen as a very small niche, I gathered many mainstream followers by commenting on current events and pop culture from a superhero perspective. The tweet below on Don’t Ask Don’t Tell beat out Barak Obama’s tweet on the same topic. The last thing to help you connect through social media is to be consistent. Just as a NBA pro has to keep making baskets or a pilot needs to land airplanes, to thrive in social media you need to be consistently interesting. I've already talked about why you should switch to Windows 7 if you haven't yet (Mac users, spare me the sarcasm). Windows 7 is without a doubt the best Windows version yet, and hence the sooner you get started with it, the better. Now, for those who are reading this post on a browser that's installed on a Windows 7 machine, I'd like to share some neat tips and tricks that could skyrocket your productivity while working on your PC. Yes, I have already written about how you can work productively on your Windows computer, but these tips are different and cater specifically to Windows 7 users. So, if you own a Windows 7 PC or someone in the family who has one, these techniques are for you. Check them out. Keyboard shortcuts can significantly enhance your productivity. Even if you love using the mouse and can't even dream of dumping it altogether for that bland keyboard, there's no harm in getting yourself acquainted with some shortcuts to speed up certain daily tasks. Here's a list of some relatively unknown, and really cool Windows 7 keyboard shortcuts. I love the jumplists feature in Windows 7. It allows me to quickly open the folders and windows I use frequently. Here's a guide to further customize jumplists to boost your productivity. The Reliability Monitor in Windows 7 helps you analyze and troubleshoot problems that are preventing you from getting the most out of your machine. Learn how to use this tool to fix errors and other issues in Windows 7. Ninite as such has nothing to do with Windows 7, and it works in other versions of Windows too. But I just couldn't withhold myself from mentioning it in this list. Why? Because it's awesome! You can install a huge number of popular software at one go with this tool. Super useful. Both Aero Snap and Aero Shake are nice features introduced in Windows 7 to help you quickly alter the placement of program windows on your screen. While the intention is to make people more productive, some of you might find them irritating. In that case, disabling aero snap and aero shake is the best option. Windows 7 brought along an overhauled notification area (or the system tray) to help people better manage those tiny icons. If you want to enable or hide certain icons there, check out this customizing Windows 7 notification area article to get yourself acquainted with the steps. This is a simple, yet innovative new feature in Windows 7 that can go a long way in enhancing your daily productivity. You can enable checkboxes for files and folders in Windows 7 so that selecting them in bulk becomes easier and quicker. The new taskbar was the first thing that attracted people towards Windows 7. It was a big improvement, and the ability to pin programs to it came as a godsend for many. But do you know that you could pin just about any app or folder to it? This tutorial will teach you how to get that done. 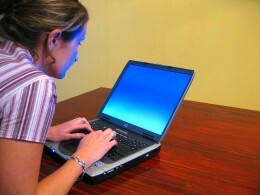 Windows 7 also proved to be a better option for people using multiple monitors. Check out this guide to make the most of your multiple monitors in Windows 7. Yes, I already told you how good the Windows 7 taskbar is but forgot to mention that there are a ton of things you could do with it apart from pinning any app or folder. This Lifehacker guide demonstrates some of those tips and tricks. If you own a business, especially one that's entirely online, it is likely that you’ve got a distributed workforce. That means your employees (and contractors and partners) are located in different countries around the world. Running an online business efficiently--and productively--requires the use of various tools and apps that can help you properly communicate with your employees, collaborate easily on multiple projects and hence compensate for the lack of everyday face-to-face interaction that happens in a real world office. Following are ten tools that every web based business owner should consider for greater efficiency and productivity. All of these general tools that can come in handy irrespective of the type of business you run. Basecamp is without a doubt the most popular web-based project management tool. Its interface is simple and easy to use, lets you create multiple projects with various customizations, share files, create to-do lists and milestones, and do much more. Zoho Projects is usually considered ahead of Basecamp for online project management in terms of features. However, it's viewed as slightly more difficult to use. Zoho Projects has been surging in popularity since it was launched, and you should take a look at it too. Google Apps is a package of popular Google tools like Gmail, Google Docs and all, allotted specifically for your domain. Needless to say, it is must-have for any online small business owner, at least for Gmail on your domain if nothing else. Zoho Suite also offers an impressive suite of online tools for businesses (Zoho projects, discussed above, being a part of it). Ranging from docs to wiki, reports to CRM and planner to invoice, there’s a huge number of applications to choose from. Hipchat is a cool group messaging service that is multi-platform, helps you share files, create chatrooms and lets you collaborate quickly with multiple people in real-time. It replaces the back and forth emails and hence saves time. Yammer is another tool that aims to foster better communication among a group of people. It is a private social network for your business, and has an interface similar to popular social sites (like Twitter). Any list that talks about tools for collaboration and conducting business can’t be complete without Skype. Skype remains the defacto method for making audio and video calls online, helping people save tons in phone bills and communicate with friends and colleagues around the world. Dropbox is a brilliant online backup and synchronization tool that has a host of features to suit individuals as well as small online business owners. It’s easy to setup and has a decent free plan too. Mozy is another popular online backup service and has a product called Mozypro that’s meant for businesses wanting to do a secure data backup on the cloud. Most of the online businesses require some form of invoicing and there’s no better tool than Freshbooks. It helps you manage invoices, track time and even manage your accounts. If you are a freelancer or a service provider who manages a team of freelancers, this is an invoicing tool you should consider using. Unless you are freelancer and don’t own a site or a blog, chances are that your web business is centered around a website (or websites). Pingdom is a monitoring tool that alerts you via emails and SMS when your site goes down. This ensures that you know immediately about downtimes and can take swift action. Evernote can take notes on the desktop, browser and mobile, enables quick capture of anything on the screen and serves as an organization tools for random ideas, text, images and more. The best thing about iPhone is the incredible world of apps its users can access and use. But it's easy to get lost in those hundreds of thousands of apps. That means finding the right apps to enhance your productivity could in itself be an immensely unproductive exercise if you don't know what you are looking for. Thankfully, you've got Dumb Little Man and myself to lean upon. This list will show you 12 iPhone apps that could significantly enhance your daily productivity. Like most of the lists published on this blog, this one too is diverse with all kinds of good and innovative tools. Oh, and before I forget, if you are Android user, worry not. The next list will be for Android users. So stay tuned. Simplenote is a note taking solution that has received rave reviews from various corners of the tech world. Hence it's iPhone app can be safely considered as one of the best when it comes to quickly jotting down text notes and keeping them organized. Mint's iPhone app is a must-have if you intend to be productive with your personal finances. It's free to use and has a ton of features like easy budgeting, investment tracking, nice and detailed graphs, and many more that let you know what's going on with your hard earned money. Don't you feel frustrated when you are kept waiting for a long time in the call queue of a customer service department? Who wants to hold that long, right? Well, get Lucyphone on your iPhone and get rid of that problem. You just need to give them a number to call you back on. The app will do that when it can get a customer service rep on the call. Cool, isn't it? Apple's remote app for iOS devices could come in extremely handy when you don't want to manually shuffle songs in iTunes on your computer again and again. You could use it on occasions like a party at home, to quickly change music. Here's a detailed guide on remote controlling iTunes using the iPhone Remote app. If you have Apple TV, you can use your iPhone as the remote to access your iTunes account on your TV. Instapaper is undoubtedly one of my favorite services that I use every day. That makes its iPhone app one of my favorites too. It can make your daily dose of reading so much more productive. For a long time I thought that Twitter's official iPhone app is inferior to the other third-party Twitter apps out there. Turns out I was wrong. I discovered two months back that the official Twitter app has features that can make you much more productive while using Twitter on your iPhone. Make sure you give it a shot. You've heard about Dropbox, haven't you? Well, this online backup service has a pretty cool iPhone app too. It lets you easily access important files on your iPhone and also do a lot of other things. Do check it out. The ReQall iPhone app does many things but it's mainly focused on reminders. And it's really good at organizing the reminders and helping you know what you need to do at the right time. Evernote is without a doubt the most popular note-taking organizational tool out there. It has got some amazing features for sure, and it recently gave a complete overhaul to its iPhone app to make it better. It's a must-have app for your iPhone. When it comes to efficient and productive planning for your upcoming trip, the Tripdeck iPhone app really stands out. Be it organizing your travel itinerary, managing hotel reservations or flights, finding phone numbers that matter....it just has a lot to offer for the traveler. Bump is one of the most innovative tools I've ever come across. If you are at a conference or a party, and want to share stuff like your contact details or photos with someone there who also has an iPhone, then using this app you could just bump your phones together and the sharing is taken care of. Cool and easy. Finally, we've got Jott for iPhone that can quickly convert voice to text. You can send emails, take notes, post to Twitter and do much more, all using your voice. There are many more features that you'll come to know once you start using the app. So, as promised in my previous article on iPhone apps that make you more productive, here I am with a similar list for Android users. There are no two opinions on the fact that if there's any other mobile operating system that can surpass the mighty iOS, it is Android. It has surely come a long way since it was first introduced 2 years ago. With major mobile handset manufacturers like HTC and Samsung backing it, one can now choose from a variety of Android phones that are available. Android's app market, like the iTunes App Store, is huge. Hence checking out this list before hunting for productivity apps there would make sense in my opinion. Rest, I am sure there are good apps that I might have missed. And that's exactly why we have the comments section. Make sure you list your favorite apps there after you are done checking these out. Slide Screen is the perfect replacement for your dull Android home screen. It displays information like SMS, Google Reader, Gmail, phone calls, calendar and much more on the home screen, all in a neat and easy to navigate interface. Saves time for sure. Android's default browser is ok but not great. Hence you should try out Dolphin Browser HD that has advanced features and enhances your phone browsing productivity. Check out these awesome Dolphin browser tips to know more about the tool. Springpad can help you quickly save and organize products, places and notes. Even things like movies and recipes can be organized in neat lists and referred to later when needed. Evernote, the formidable online note taking solution, is available for Android too. Like its iOS counterpart, it is free, integrates seamlessly with your online Evernote account, and is hassle-free to operate. Jorte is pretty nifty personal organization app for Android devices. It is calendar based and has custom styles to suit every user. The intention is to give the feel of a paper organizer, and make it easy to use. The popular online backup and sync tool has an Android app that lets you quickly access your My Dropbox folder from your Android phone. Photos and videos can be directly saved to it so that you don't lose them if you lose the phone. Time Recording isn't an app that every Android user would know about. It lets you efficiently manage your timesheet, and I feel that each of us, whether or not we go to an office every day, can make use of this tool. Try it out. PageOnce travel is a travel itinerary manager for Android. It can check details like weather, flight information, reservations, car rentals, routes and much more, all in real-time. The interface is nicely designed too. Just like it happens in a computer, a lot of tasks or programs running in the background can make your phone sluggish. Advanced Task Killer can quickly kill applications and tasks that shouldn't be running at the first place. The app is extremely popular, and chances are that you use it already. If you haven't yet, you may give it a shot now. Need your Android phone to record and generate quick expense reports? Expensify can do that for you. Cash transactions can be entered manually, and you can use the phone's camera to take snaps of the receipts which could then be uploaded to this app. Lastpass is probably the best password management solution out there. It's Android app is a good one but available only for the premium customers of the service. Good news is that its premium subscription costs only $1 per month. Worth it if you ask me. The second or third question in virtually any introduction is, “So, what do you do?” What’s your answer to that question? For most people it has something to do with their career, job title, or the company they work for. It makes sense. Our identity is tied to the value that we bring into the world and historically that value means our profession. Bob the Builder, Dora the Explorer...that’s how a lot of last names were first created. In earlier generations, people tended to have the same profession and work at the same company for their entire working life. For many people, their profession and company weren’t just a huge component of their identity, but also a real source of pride. But that was the old world. Things have changed. Are you Familiar with the New World? In the new world it doesn’t really matter where you went to school, what your major was, what your profession is, what company you work for, or what job title is on your business card. Seriously. Unless you're a doctor, college majors mean less then ever. People switch careers more frequently than ever. People change companies about every three years. Everyone has an impressive-sounding job title (“Account Executive” can mean anything from entry level telemarketer to an executive in charge of a major business account). No one really takes resumes at face value...they tend to be meaningless. There is a disconnect here because in our hearts we don’t want our value to be tied to something so uncertain and meaningless as our company or career. We want our value to be tied to something that we own. Something that can’t be taken from us. Most of us don’t want someone else to hold our identity hostage…we want the freedom to define ourselves and the control of our own identity. But many of us are stuck in the old world thought process. A special few have noticed this new world and taken full advantage of it. They recognize that careers and companies have limited security and give little real value. They’ve decided that they need to make their own value, their own identity, so that the “what do you do?” question takes on a completely different meaning. As the world is moving toward this intense individualism, the barrier to entry in business and mass communication has almost disappeared. A guy with a laptop can build a multi-million dollar business with nothing more than high quality advice and really solid marketing skills. A girl with a desktop can deliver news, information, and advice and build a following without having to climb a corporate ladder at a newspaper, magazine, or television station. An actor can produce a show watched by millions without getting a television deal. This combination means that anyone with motivation has the means by which to create their own value and their own identity. Everyone has an ability to create proof of their talent, knowledge, and skills. We no longer have to rely on our resumes, references, companies, or work experiences to define our value. We can set off and create something that offers tangible proof of it. That idea can be a bit scary. Many of us actually rely on the fact that no one really knows what anyone is actually worth. If no one really has proof then corporate success is up to the person who talks a good game or networks the best. If we were required to prove our worth we wouldn’t even know how to do it. We’d probably fall back and describe a past work challenge that we may or may not be exaggerating. If you actually have to put something out there to prove your value then what happens if it’s not good enough? Putting yourself on the line in that way can be terrifying. Because it might not be good enough…yet. The artists have the right start in this new world. For an artist it rarely matters where you studied or where you’ve worked, it matters what you can create. Resumes mean little. Portfolios speak volumes. The conversation is less “this is what I will be able to do” and more “this is what I’ve done already.” That’s how artists have to demonstrate their value because people demand visual proof. Good salespeople have the right start in this world. They can point to sales data to show results in graphs and percentages that aren’t easily exaggerated. And of course those with successful online businesses or blogs can point people to their website and traffic/conversion data to demonstrate their value. Now this isn’t just a call to arms about becoming an online entrepreneur or a blogger (although both those things are certainly strong starting points), but I am saying that if you cannot easily prove your value to the world and to the marketplace by pointing to something that you’ve created or accomplished, then the new business world is leaving you behind. If you do have a blog, or a business, or a portfolio, or anything like that then you should have the mindset that it equals your value. It’s not enough to put out interesting articles or optimize your opt in rate or any of that kind of stuff. What you do is your value. What you say is your value. Your impact in the lives of others is your value. It is no longer just a hobby or a side project or a money-making scheme. With Google, Facebook, and the rest of social media connecting everything to everyone, what you put out there defines you. Now this article is a pretty heavy/serious one, which I typically avoid. In fact, I’m normally the guy who shows people how to stop taking themselves so damn seriously when it comes to their online business or blog or life. But I feel strongly that anyone who is not actively proving and improving their value in a public way will be missing out in this new world. I also feel strongly that anyone already out there who isn’t looking at their venture as, at least partially, a demonstration of their value to the world will be left behind by those who do. The traditional view of a small business is changing. There was a time when building a business involved joint ventures and angel investors. It involved asking the bank for a big business loan to cover overhead costs until you turn a profit. If you had the dream to start a business, you needed to invest a lot of money. No more – today's business, particularly a web-based business, has very little overhead. Want to start writing for a living? Have a service that you wish to offer? You can build a business presence with free software that has all the features you need to get started. First, if you need to work with documents, you need software that can handle them. Unfortunately, while Word is the standard, Microsoft has priced it out so that any business looking for the latest software with no money is left in the dust. LibreOffice (formerly OpenOffice) is a powerful, free desktop office suite that can handle virtually all types of documents. With LibreOffice, you won't miss Microsoft Office for a second. If you want to go even lighter on your desktop, you can use Google Docs, which lives entirely within your Web browser. Again, you can use these tools to replace Microsoft Office pretty easily, and if you don't need to do any ultra-fancy formatting, they are more than adequate. If you have separate business and personal email addresses, the last thing you want is to have to switch back and forth between them. Many people use Microsoft Outlook to handle all of their email addresses, so that they only have one place that they have to look. Instead, try using Gmail. Gmail makes it easy to handle multiple email addresses, and it runs light and quick. So if you need to search through your vast backlog of email, you have the speed and power of Google behind it. Gmail offers a number of other great little tools, but the ability to easily handle multiple email addresses is at the top of the list. Brainstorming is a valuable practice in a business. Whether you are keeping track of your latest ideas or just fleshing out your latest campaign, having a centralized place to store your thoughts is valuable. Microsoft OneNote is a handy piece of software, but it is expensive. Instead, sign up for Evernote, and store your thoughts online. There, you can access them from anywhere so if you are out and about and have that great business idea, you can pull out your phone and get it into Evernote (via an Evernote app or by texting through Twitter) so that you will not forget it. Their excellent notebook/tagging organizing scheme makes finding any of your thoughts as efficient as possible. Tracking all of your expenses and income is a hassle, especially if you have separate business expenses. While many choose to use Mint for their finances, I much prefer handling the transaction record keeping myself. Set up a spreadsheet in LibreOffice or Google Docs (Google Docs even has a great template for it), and you can keep track of your finances on your own. Or, you can use a service like ClearCheckbook, which gives you a few more reporting options. Either way, the bloated price of dedicated financial software just isn't worth it. The power of your business is in your email list. You need subscribers that are interested in hearing from you on a regular basis, so put a sign-up box on your home page and encourage people to sign up to receive updates, free reports, etc. The industry standard seems to be Aweber, which is a very powerful tool, but it comes at a cost. Instead, MailChimp offers free emailing for a large number of subscribers, so you can keep your overhead low while you build your list (their interface is a little more pleasant, too, in my book). If you are dealing with clients, you don't want to be passing out your home phone number or your personal cell number, either. Who has the money to afford a separate business line? Instead, sign up for a free phone number from Google Voice and have it routed to your cell phone or your home phone. Then, you can block numbers, set up special voice mail messages, and do a ton more without having to pay for a separate line or service. One of the “necessary evils” of graphic design has been Photoshop. A powerful and useful tool, Photoshop is also incredibly expensive. If you are looking to save money, Gimp is a free tool that works very similarly to Photoshop. The interface is slightly different, but once you use it (and search around for a few tutorials), you can use it for plenty of graphic design and desktop publishing purposes. Creating a publication, whether it is a magazine or a newsletter, can be a pain without the right software. Again, Adobe claims the standard with InDesign, but Scribus is a free tool that offers much of the same functionality, allowing you to create elegant and beautiful PDFs and printed documents with little hassle (and no cost). Do you remember when the internet didn’t own your identity? Before Facebook. Before Twitter. The most it had on you was an article from the local newspaper telling your neighbors about how you won the soap box derby back in 3rd grade. Your identity was decisively off-line. For most of us, our online identity is owned by Facebook. That’s where we go to learn about others, check out their pictures and their "status updates". We're nosey by nature so we'll take a peak into people's lives even further - where did go to school, who did they marry, etc. Then there’s inevitably that awkward moment when you meet someone for the first time and they happen to already know your favorite movie and where you went on vacation last July. They know your cat can jump to the top of the fridge. Weird. If we shouldn’t, what can we do about it? Here’s seven steps to reclaiming some of your online identity from Facebook. Facebook’s goal is to put everyone’s life online. That’s not an exaggeration, that really is their vision. That’s why your profile errs on the side of sharing with others by default. That’s why it’s not immediately obvious how to change stuff. Most of us have embarrassing stuff on our Facebook account. Maybe we're tagged in some goofy, drunken picture. Maybe, our status updates are disgustingly uncensored. Most of us don’t think about it enough to go through and clean up the bad stuff. Like it or not, if you have a Facebook account it is a huge component of your online and offline identity so it’s best to control it. Ask yourself how you want to be seen by the world. Then, comb through your pictures, your info, and your updates and take out and de-tag everything that doesn’t help your cause. This also goes for your friends. We’ve all accepted people we didn’t quite know. Admit it. De-friend some of those people or at least throw them in a group that doesn’t get to see your phone number. Is your information page screaming “this dude is awesome”? No? Add something that helps you out. Without being weird, mention your strengths. Tactfully reference achievements you’ve had. Go ahead and add a link to that charity you love (every online identity benefits from being noble). Remember, this is your identity we’re talking about. Look at it like you would a job interview. Without lying you want to show up as the best possible you. Write a smart blog post for a popular blog. Start up a Twitter account and share your wisdom. Set up a LinkedIn account. If you have a job you’re proud of, make sure the company’s website has a page talking about how awesome you are. Snag a leadership position in a club or organization you support and work your way into the leadership page on their site. Just don’t let Facebook own all of you. You can only do so much about your online identity when you’re playing with online properties you don’t own. No matter how you clean up your Facebook profile, there’s no telling what they’ll decide to do in a year or two. Hedge your bets by buying a domain name for your name. For example, if your name is Bubba Jenkins, you should buy www.bubbajenkins.com (or if that’s not available, buy the .net, or .org versions), That way, even if you never use that domain name to create a website, at least you have the option down the line if necessary. (It’s well worth the $10 investment). The ultimate step in owning your online identity is to create your own website. Now don’t get hung up whether or not you’re capable of creating a website – websites are easier and cheaper to create than ever – you definitely can. Your website can function as an expanded resume, where you present yourself how you’d like to be seen. Or you can create a blog where you put your knowledge and expertise on full display. Which Google search is best for your online identity? Drunken pictures of you in a McDonald’s play place ball pit or your personal website about your wisdom and generosity? Living a truly great life seems impossible. Days and weeks go by and is just feels like we're stuck in this never ending world of mediocrity. I don't know. Maybe we're all defining 'great life' the wrong way. What does it mean to live a truly great life? I can tell you one thing. It’s different for every person, and each one of us has to come up with our own definition. It’s not up to society, our friends, or our family. And - it's certainly not up to me or some guy on the internet. I can list 40,000 things that make ME happy, and perhaps we'll have a few in common, however, it’s up to you to decide how you live. With that, I can surely give you a handful of ideas that may help in your quest. Let me know what you think. Go after your dreams and follow your passion. It's easier said than done but no matter what, if you put off your dreams, you will regret it. It may feel hard, or scary to do what you love, but in the end, isn’t it one of the most important things in life? It doesn’t have to be radical. You don’t have to quit your job, but you do have to get started, and get creative. Do not succumb to excuses. I love being lazy, but I have many ingrained beliefs that say that I have to keep pushing myself; I have to keep working. I’m still very young, but throughout the years I’ve learned to relax. I’ve discovered that being in a hurry, accomplishing goals, and being successful isn’t the #1 priority for me, although it is still up there. This isn’t about being lazy all the time and never getting anything done. This is about being strategically lazy and allowing yourself to relax. Besides, if you’re passionate about what you’re doing, you will feel too inspired to stay still for long periods of time. Being kind infuses my soul with happiness. Sounds cheesy, but it’s true. I am often kind for selfish reasons; it makes me feel great to imagine other people being happy because of me. It’s easy to put off making other people’s days better when we have so many problems to worry about. But in the end, we will always have more problems, so why not help others with theirs? Being connected, being in love, and having people around us is what makes us human, and it’s something we all value more than we know. Making money is nice, but in the end we want money because we think it will improve our social status. Instead of going after money, go after relationships directly. Happiness is possible now, so why use money as the middle-man? Have you ever just gone after something you initially thought was scary and later been happy that you did it? Our minds have an uncanny ability to stop us from doing anything that isn’t safe or secure. We avoid risks. We avoid being bold, and we do our best to avoid anything new. Now, I’m not advocating being stupid and jumping off a cliff. Use common-sense, and take risks that have a high chance of having a positive impact on your life. Failing is another obstacle we have to overcome. We’re taught in school that failure is bad. They use red-markers and those that never fail are endlessly praised. But in the real world failure is what teaches us what works and what does not. Failure is a stepping stone to success, not a death sentence like so many believe. Be an observer of what is going on in your mind, and remember that you are not your thoughts, but the observer of them. Notice what your patterns are. If you’re like me, you’re a worrier. I want to plan, make things perfect, and avoid any surprises in the future. But in reality, there’s no way I can control my future. Even with all the money in the world, something unexpected could happen to knock my world upside down. Don’t waste away in front of the TV. Occasional TV watching is cool; in fact, I like to watch TV from time to time, but I don’t have a TV at home. The best way to cut down on your watching is to get rid of your TV. When you sit in front of that hypnotic box, it’s easy to get stuck there like you’ve accidentally sat on a pool of superglue. You get passive, and your mind shuts off. Our fears are there for a reason. Overcoming fear is a skill anyone can learn, and facing your fears helps you grow. Look at your fears as challenges. Each one you face you receive experience points, and when you’ve got enough of them, you level up. The scarier the fear, the greater the reward. Say yes more. Simple, yet very powerful. You cannot know what will happen. We try to predict what will occur if we say yes to a trip, to an invitation, or to a meal with a friend, but it’s impossible. Google "improve brain power" and you'll find all sorts of tips, techniques, books, and games explaining how you could improve your brain power. Most of them involve physical exercise, balanced nutrition and complex mental exercises. While it would be cool if everyone could incorporate these tips, I highly doubt that after reading such advice you will start jogging for one hour every morning and change your diet to incorporate more fiber and omega-3 fatty acids. Some people don't do that even when they are at risk of having a heart attack! For the lazy crowd looking to give a little boost to the brain functions, is there anything easier? Luckily yes. By switching the side of your mouse-pad you will force yourself to use your non-dominant hand. This, in turn, will stimulate the neural connections between the right and left hemispheres on your brain. Scientific research confirmed that people that use both hands equally have 10% more nerve fibers joining the two sides of the brain. Ideally you want to perform as many activities as possible with your non-dominant hand, but some of them might become cumbersome. I tried to brush my teeth using my left hand for one week or so, only to find out that the tartar was building up. Using the mouse with the opposite hand is something that you can easily integrate into your life. During the first couple of days it will feel weird, and you might need to switch back when using programs that require intense "clicking" sessions. 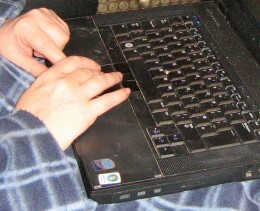 After this adaptation phase however, you'll be navigating the computer just as efficiently with both hands. Sometimes you want to remember the name of a song that is playing or the name of an old acquaintance that passed by . It is right there, on the tip of your tongue, but you can't remember it. What would you normally do in such situation? Probably ask some nearby friend for the name, and upon the revelation you will even shout marveled, "Oh yeah! That is it." The next time this happens force yourself to remember that name. The brain can be stimulated just like your muscles and the more you exercise it the stronger it will get. Do not limit yourself to remembering names. Are you calling your mother to get the phone number of your uncle? Forget pen and paper - you can memorize it. Try to look at the keyboard of your phone in order to create a mental picture of what the sequence of numbers looks like. You don't need to participate in the Mathematical Olympic Games in order to stretch your brain capabilities. Oh no, games and activities as simple as sudoku or crosswords will already have a tangible impact upon your brain performance. Regularity is very important here, so try to incorporate these games or exercises into your routine. You could bring a crosswords book with you on the daily commute, for instance. Personally I like to play a chess match every day before I start working. It takes around 15 minutes, but it ensures that my brain gets a kick-start every morning. This is a step by step guide that helps you create your first free Google Blog. I will also show you how to add Google Adsense ads so that you can earn money writing online from home. Targeted Google ads are designed to appear on your Blog in a way that the ads will only be connected to the subject you write about. This way the Blog looks good and you have a better chance of readers clicking on the ads. It does not matter whether the reader actually buys or joins what the ads are advertising. The reason you are paid for clicks is that through your Blog you brought a potential customer to the company that had the ad on your page. This is how you can earn money writing free Blogs! Do a Google Search for Google Blogger. Fill in this simple form. Just enter a username and password, and click Sign in. Enter a display name and accept the Terms of Service. Then click the Create a Blog link. You will then be asked to pick a name for your Blog and an address (URL). Do take a little time when choosing the name of your Blog and the url. You want to maximise your chances of getting traffic to your Blog so choose wisely for the particular subject that you will be writing about. You can create as many Google Blogs free as you like so try to stick to one subject for each Blog. This will maximise your potential earnings from the Google Adsense ads on each Blog. You will be given a range of templates to choose from. Do not worry about how this may look once you have added content because you can change the template anytime you want once you have published it. You have just created your first free Google Blog. Now you can personalise it by filling in details on your profile and rearranging and adding the gadgets with the easy to use Google Tools. You have the choice of adding 19 Google Gadgets to your Blog. Click the Layout link on your Blog. There are 19 gadgets in the box to choose from. Click the plus sign next to your desired gadget. This will open the Gadget window and you can then add the information. Click Save. Your layout changes will appear instantly. Sign in to your Blog, Click the New Post button. Give the post a title and write your post. When you're done, click the Preview link to see if it is written the way you want it. If all is well then click the Publish button. You have published a new post. You can add photographs to your Blog with a few easy steps. 1. Click the image icon in the post editor toolbar. A box appears prompting you to browse for an image file on your computer, or enter the URL of an image on the Web. 2. Select the photograph and click on the options button to choose which layout you prefer. 2. Click Browse to select the video file from your computer that you'd like to upload. 3. Google Blogs will only upload videos of less than 100MB in size. There are a number of video files that Google accepts, they are AVI, MPEG, QuickTime, Real and Windows Media files. 4. Add a title in the 'Video Title' box and agree to the Terms and Conditions. A simple and free way to get paid for blogging. So why not create your own Google Blog and start writing posts, adding photographs, videos and links. Once you are happy with your creation you can then apply to join Google AdSense and earn money online by writing a Blog . How to add the Adsense Gadget on to your Blog. When you are accepted by Google add the targeted ads to your Blog. It is extremely easy to set up and use. It is also free to join. Once you have a Google Adsense account you can add the ads to any other Blogs you create without having to go through the application process again. Or if you already write articles on a writing site and have an account then you only have to use the Adsense Gadget on your Blog. There is no need to apply again to display your ads. Google will already have your account number on file and will link to your account automatically. No that I have shown you how easy it is to create your own Google Blogs for free why not have a go. If you have a special interest that you enjoy and can write short blogs about it then you will be on you way to earning money from writing blog posts online. And believe me once you connect with other readers who also enjoy your interest then you will have created an interesting and profitable blog. This first blog is about earning money by writing online. I use it to add unique links to my articles here on HubPages. I always write a short blog post about the article but in different words that the article itself. This is easily done by imagining you are telling your readers about your article, what is in it and how it will help them make money writing online by using the particular tips and advice. You can look at the layout of my blog here and become a follower if you wish too. This blog is my newest one. It started off as a platform to sell clothes for dogs which is an up and coming industry. I have mostlly Amazon adverts on this one and only one Google advert I think. My main income will come from selling all things to do with dogs from Amazon. I keep seeing these wonderful stories on the internet about dogs and puppies so changed the title of the blog to include those as well. This blog was only created recently so is still a work in progress. First, what are the pros and cons? When I signed up with Hub Pages I opened a Google AdSense account at the same time. I read in the Hub Page forums and the Hub Page Learning Center that by opening a Google AdSense account Google would place advertisements on my hub page articles. When my readers click on the ads I make money. Now I get paid in more ways than just one. I get paid for the number of views by Hub Pages which is a $50.00 pay out limit, and for ad clicks by Google Adsense. (Don't forget to add links to E Bay and Amazon and earn a commission when someone purchases a product that you've chosen that matches the topic of your hub too.) I also have 3 blogs with Blog Spot where Google AdSense places places ads on my blog entries. When opening a Google AdSense account go to their homepage and click on the "sign up now" button. Fill out the registration information, enter your financial information, and copy and paste your blog or Hub Page URL into the appropriate area provided by Google AdSense. They in turn will give you a code to paste into the earnings area of Hub Pages and Blog Spot. (or your web site if it's associated with Google AdSense.) You also must copy and paste the code into the appropriate place within the context of your article where you want your ads to appear. Be sure to read Google's policies thoroughly so you don't violate their rules and regulations. After approval Google will offer you the use of any one of their different size ads, asking you to choose the size and color you would like. Hub Page ads will automatically appear, but for blogs at Blog spot and certain web sites you are allowed to design your own ads. Be sure they blend in nicely with the decor of your blog or web site so your readers will click on them. You will also want to work to get readers to visit your blog, website or Hub Page articles. Promote them on Facebook, Twitter, or Stumble Upon (I believe there are more social networking sites but I have accounts with these three.) Use the "share" button at the bottom of your hub or you can "like" or "tweet" them at the top of your hub page article, and you cal also add a facebook or twitter button on your blog pages. You can also add a Google +1 button to your site by following the instructions on the Google Adsense homepage. Your readers can click on it to promote your blog or website if they like it. It should help bring more views to your site. Google Adsense is strict about advertisement views. They will ban your blog or website if you click on your ads yourself, if you ask others to click on them to help you make more money, if you display more than the required number of ads on your entries, if you fill up a page with ads or if you use any particular kind of automated process to increase your number of clicks. You can, however, use popular keywords within the context of your entries to bring up your number of views, follow others and read their entries to encourage them to read yours, add a referral button to encourage others to sign up for a Google AdSense account and when they reach the $100.00 pay out you will also receive $100.00. You can add an "archives" area to post prior blog entries by date to encourage readers to look through your old entries, and add a "submit" link to submit your entries to Google search engines.